If you grew up on the internet, through your early adolescent blunder years, you may remember a comic called Homestuck. You may also remember there was meant to be a game, because it got big enough that people talked about making a game. Well now the game is happening. For real. For more great indie PC games, get your eyeballs round these. 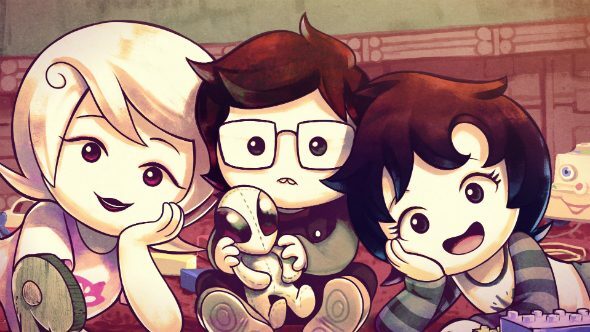 Hiveswap is an episodic adventure game featuring the characters and art of the insanely popular webcomic series, and will be releasing its first act in January 2017. The trailer, above, shows a lot of very pretty art and a few memorable characters fighting their way through monsters for reasons that we’re sure will become clear in context. In its long, mostly nebulous development history – involving claims of embezzlement of Kickstarter funds by a prior development team before creator, Andrew Hussie, wrestled back control of the project – the game has made the leap from 2-D comic to 3-D game back to a 2-D artstyle again, thankfully.